Smart trainers don’t have to break the bank anymore. 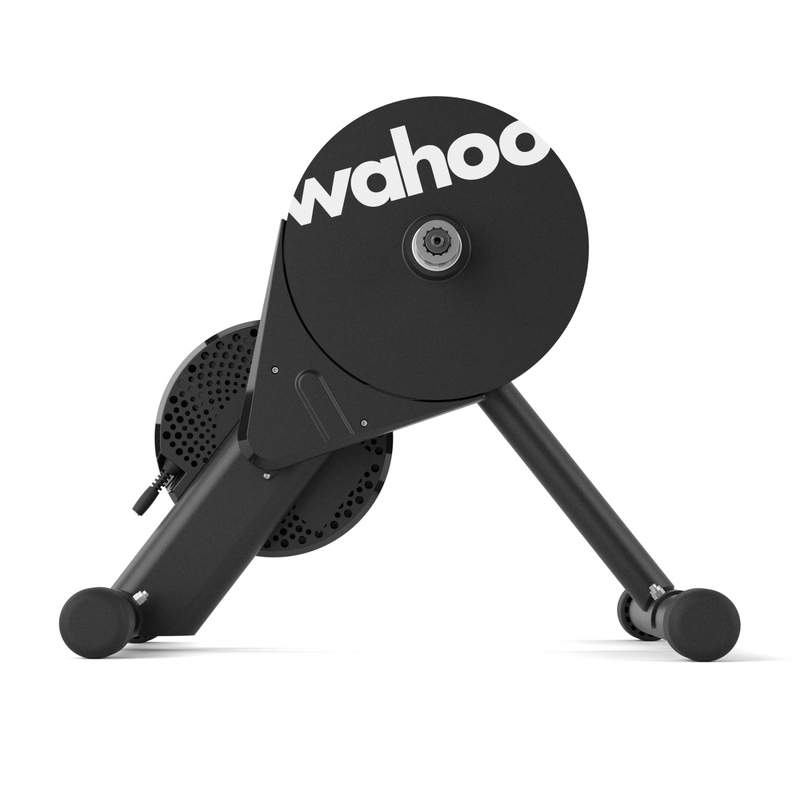 Wahoo is at the forefront of smart trainer technology and are a favorite choice for dedicated Zwifters and indoor riders. Wahoo trainers, however, are not known as the most affordable units on the market and have thus been sharing the spotlight with other smart trainer manufacturers that have entered the game at a lower price point. It appears, though, that Wahoo has heard the call and answered with the KICKR CORE, their first mid-priced smart trainer which sells for $900. 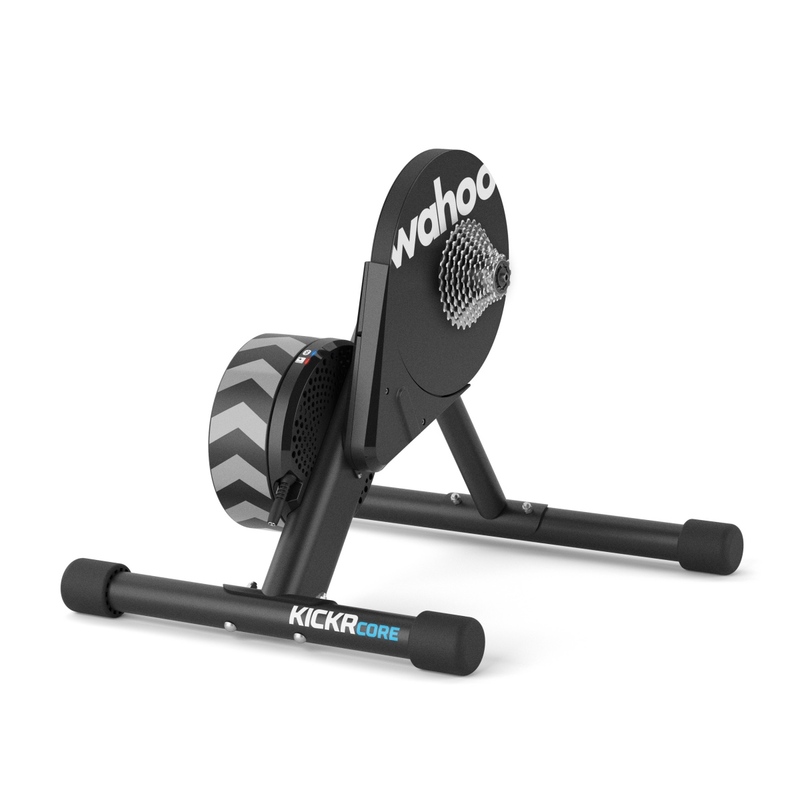 The Wahoo KICKR CORE is pitched directly against models from CycleOps, Tacx and Elite, who have had smart trainers available for some time around this price point. So what separates these various options? 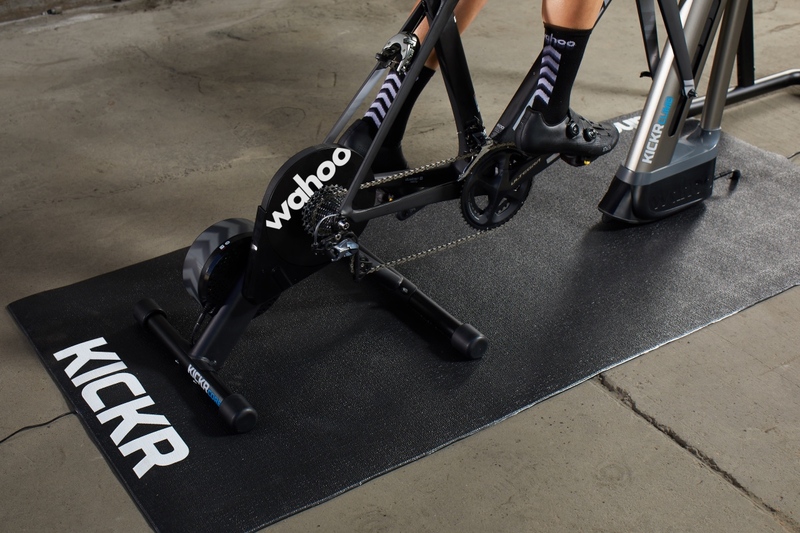 The Wahoo KICKR CORE’s wide base makes for a highly stable indoor training experience. The Wahoo KICKR CORE is billed as the mid-level trainer in the Wahoo line, but it has nearly all the compatibility and features of their top-tier KICKR. The CORE is compatible with all popular online training and racing programs including Zwift, TrainerRoad, and Road Grand Tours, connecting via ANT+ and Bluetooth for seamless computer pairing without a dongle. The KICKR CORE is easy to set up and comes with all necessary tools so you don’t have to search around the garage. The main assembly process is attaching the legs and setting the unit on the floor, which takes 10 minutes tops. But when moving the KICKR CORE around for install, you can’t help but notice the weight and size of the flywheel. The unit itself is heavy and sturdy, but adding the large support legs, and wide footprint makes the CORE feel nearly glued to the ground. The final piece for assembly is to choose the correct thru-axle or quick release size and set up your stead. I like that the 12 x 142 and 12 x 148 axles come in the same spacer; keeping track of two fittings is much easier than 4-6 like some other smart trainers. However, it’s also worth noting that the KICKR CORE does not come with a cassette, so you have to supply your own. Also if you are a rider that likes to track cadence, you’ll need to purchase that separately as well. (Wahoo’s RPM Cadence sensor is a great choice and works seamlessly. Price is $40). I suggest downloading the Wahoo fitness app, something you’ll already have if you own a Wahoo head unit. Next, plug in all the electronic bits. The cords are very thick for maximum durability, something many manufacturers overlook, but something consumers definitely appreciate. Calibrating the unit is straight forward, utilizing the average spin-down method which runs through the Wahoo Fitness app. Indeed, the app acts as a means to communicate with the trainer and other Wahoo units, alerting you if the unit (or computer) experiences anything out of the ordinary. The app also helps facilitate the pairing of the CLIMB block and what wheel size height the block is placed. Train on flat ground — or head for the hills by adding the Wahoo CLIMB block for another $600. The Wahoo Fitness app is easy to use and an excellent way to have all the units and settings in one place, limiting the amount of confusion and pairing when you’re getting started on dialing in your screens. All that’s left is to plug in your fan, queue up your favorite online training program, pair the unit, and start spinning. If you’d like to max out your indoor riding and racing experience, you can add the new Wahoo CLIMB ($600), which can simulate climbs up to 20% and descents (max 10%) by raising and lowering the front end of your bike. 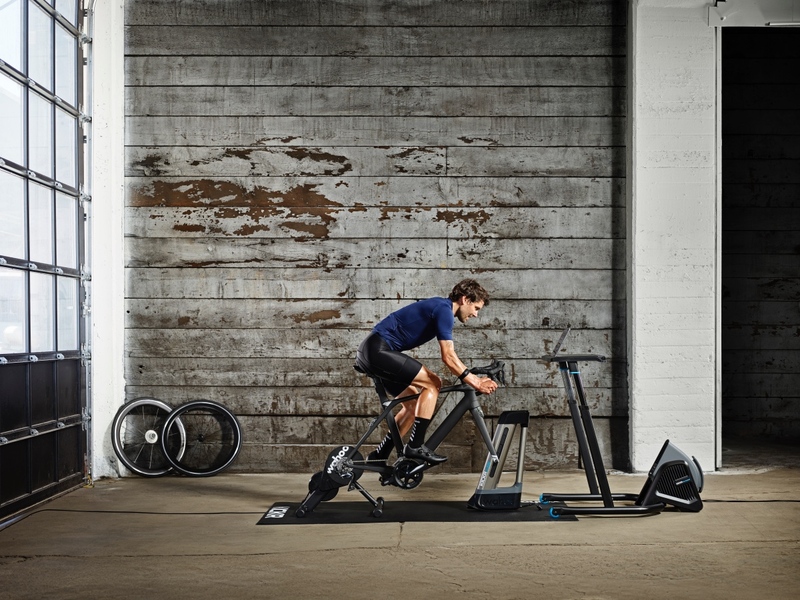 The CORE unit itself is limited to a maximum incline of 16 percent and max wattage of 1800, which is less than the top-tier KICKR, but still an unattainable power max for most riders out there, this tester included. Power measuring accurracy is claimed to be within 2%. The ride of the KICKR CORE is smooth and silent, the larger flywheel offering a superb real world feel. That ride feel is especially noticeable when you get the unit up to speed and hold it. It’s extremely quiet. I loved the fact that I could get up early and hit the virtual road without waking the family. Power changes on the virtual climbs happen naturally on the CORE. When sprinting or big gear climbing, the unit offers natural resistance and a very stable platform. My only complaint came when programming workouts. If you drop off the prescribed pace, the unit stays at the programmed wattage, not letting you pace back up. This is something I’ve experienced using other trainers, too. But again this is only in the programmed workout mode. The oversized flywheel helps keep noise at a minimum. 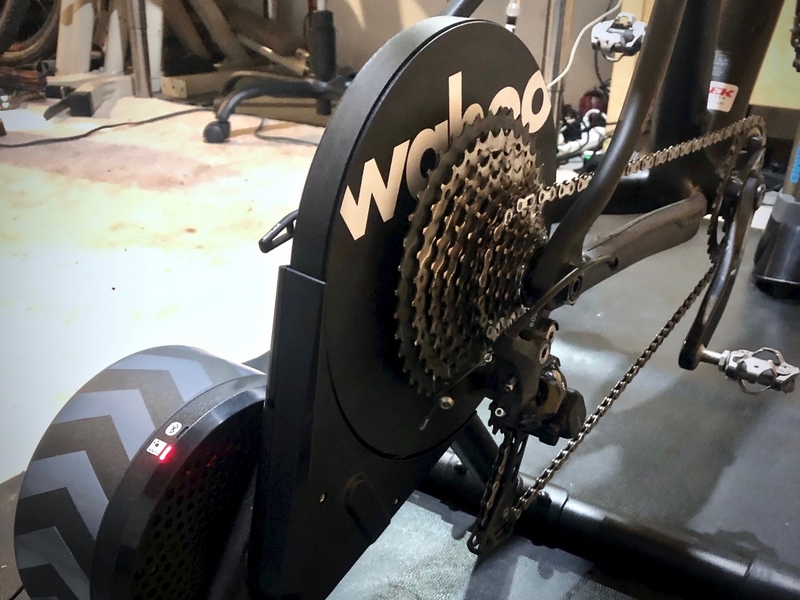 Having also tested both the Wahoo KICKR and other high-end smart trainers, I am excited to see the amount of quality and sophistication that is now available in the $900 Wahoo KICKR Core smart trainer. 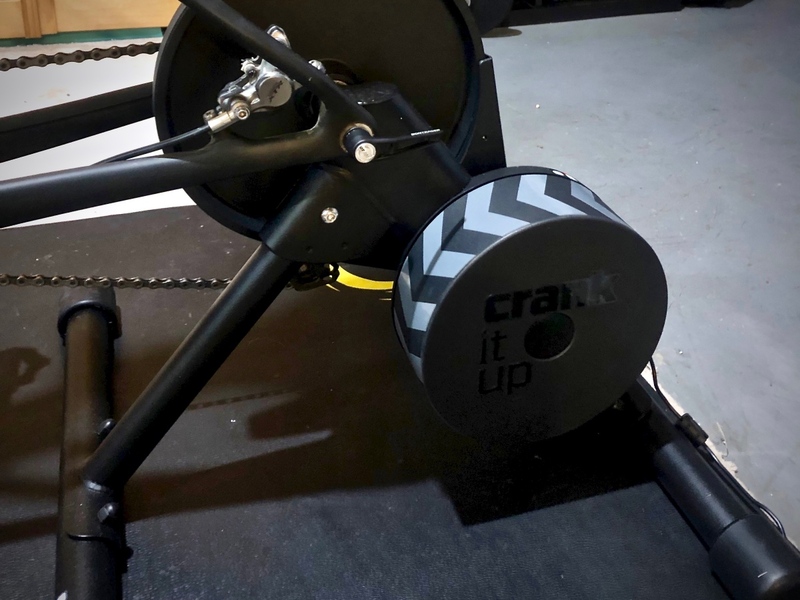 The silent belt drive, easy setup, and connectivity with apps and online training is a massive move in the right direction. 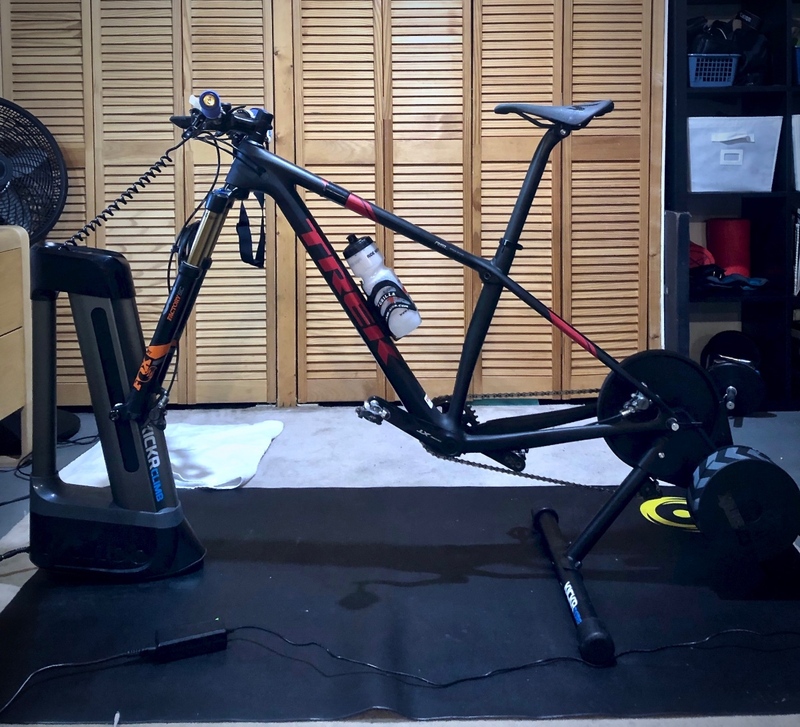 With the rise in popularity of Zwift and quick programmable workouts, the cycling world has started to embrace the call of the indoor rider. The lessened cost of this model helps make it attainable for more riders. If you are thinking about diving into the world of smart trainers and need the extra push, go to your local bike shop and take a test spin on the Wahoo KICKR CORE. You’ll be happy you did. The unit is sold without a cassette, but you can add one to your order for another $50.